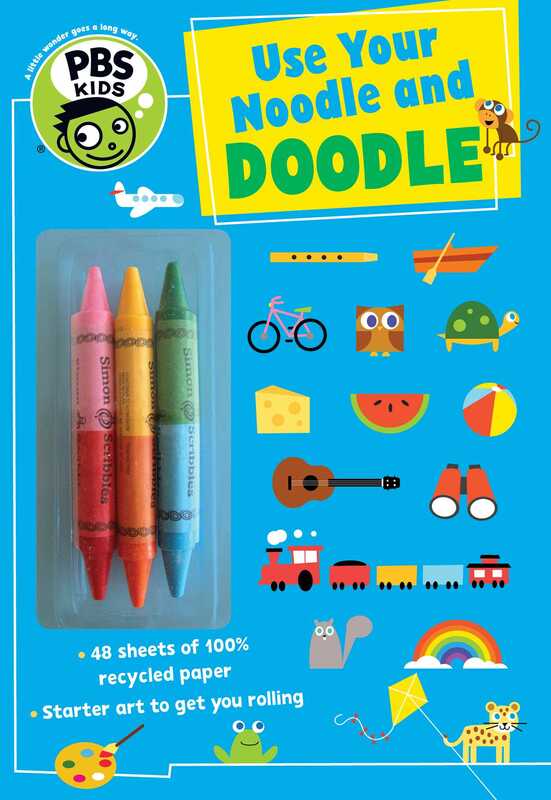 PBS KIDS Use Your Noodle and Doodle pad is designed to get kids using their imagination and creating art. Fifty heavy-duty, 100% recycled sheets feature starter art on one side of each sheet so that kids can take the outlines of a single building and create an entire city; build a galaxy out of a planet; or create a setting for a character riding a bike or a balloon. A pack of crayons is affixed to the front cover making this perfect for on-the-go entertainment.